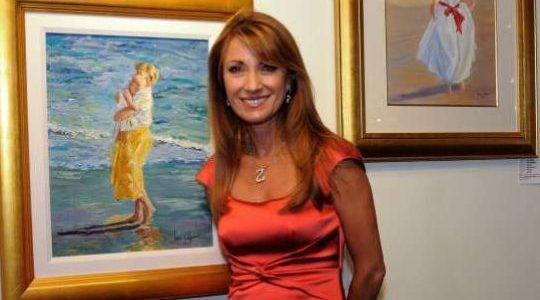 Relevant Communications / Posts tagged "Jane Seymour"
An impressive new collection of original artwork by Emmy And Golden Globe award-winning actress, Jane Seymour, will be on exhibition and available for acquisition at Chasen Galleries in Sarasota Florida. View the cover and read the article. Award-winning actress Jane Seymour has slipped into many roles in her career in movies, on TV and on Broadway. She garnered an Emmy for her portrayal of Maria Callas in “Onassis: The Richest Man in the World” and a Golden Globe for the title role on “Dr. Quinn Medicine Woman.” She also starred as a James Bond girl in the 1973 movie “Live and Let Die.” But the one person who inspires her life’s work hits close to home and to her heart — her mother. Raleigh, North Carolina – January, 2015 – An impressive collection of original artwork by EMMY AND GOLDEN GLOBE award-winning actress JANE SEYMOUR will be on exhibition and available for acquisition at a premiere presentation at Raleigh’s distinguished The Mahler Fine Art. www.themahlerfineart.com.